January: I was In Savannah, Ga. filming a supporting role in an upcoming feature directed by Julie Taymor and starring two oscar winners about the life of Gloria Steinam. More to come! February: I booked a lead in an internet commercial. March: I booked a supporting role in my first Christmas movie for TV. More to come. March also brings the debut of season two of Marvel’s popular podcast “Wolverine” in which I had a fantastic part. Kicking off November with a Podcast booking for Marvel Comics. Thanks to my team at Bohemia Management. I’m currently shooting a Pilot in Birmingham! Stay tuned for details. June has been a thrilling month. An Act of Terror had a successful screening at the Brooklyn Film Festival. I had the pleasure of filming a wonderful short Lilac Ocean Pumpkin Pine in Shreveport Louisiana. I booked another audio-book and am on hold for two theater projects! Big Month for An Act of Terror screening at two film festivals in April. Crossroads Film Festival in Mississippi and the Richmond International Film Festival in Virginia! So happy to be a part of this film helmed by “Homeland” Producer Ashley Brimm starring Olivia Washington and the award winning Tonya Pinkins. 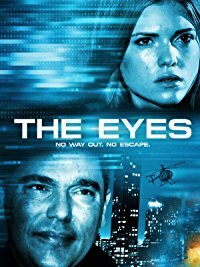 Catch me in “The Eyes” now available on Amazon and Showtime. 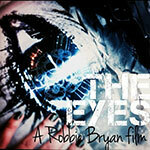 Check out the trailer for “The Eye’s” coming to theaters in April! So excited for my big screen debut with AMC Movie Theaters. 2017 is off to a great start! Recent Bookings include The Unbreakable Kimmy Schmidt! Also thrilled to have premiered in Z the Beginning of Everything this month! More exciting news to come about past projects and one currently in editing! Now available for download “A Different Class” by Leigh Ellwood Narrated By Terrence Clowe on Audible & Amazon! Catch Terrence in the new Direct TV commercial sweating in spin class! 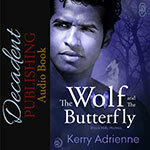 Now available for download “The Wolf and the Butterfly, Black Hills Wolves” by Kerry Adrienne Narrated By Terrence Clowe on Audible, Itunes, & Amazon! 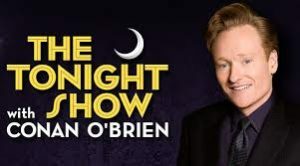 Check out Terrence On “Conan” as he parodies “Hamilton” with Conan, Matthew Broderick and a Camel airing Thurs Nov. 3 on TBS! See Terrence Clowe in the role of “The Cheating Best Friend” in the feature film THE EYES coming in 2016! Six strangers are kidnapped and through governmental technology have proof they have all killed before and are told 5 will die this night, one may walk, and the six have 2 hours to decide who gets to live. Starring Nicholas Turturro, Vincent Pastore and Megan West. 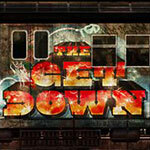 Director: Robbie Bryan. 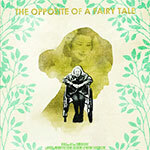 Catch Terrence Clowe in the role of “The Orderly” this spring in the short OPPOSITE OF A FAIRYTALE! 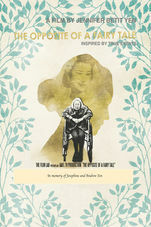 Already en route to Cannes, this film is described as follows: a social worker befriends a patient at a nursing home and uncovers what most of America is unaware of, the all too typical and all to secret world of elder abuse.